The first thing of note is the price, the product they were sending costs just €8.99, which seems incredibly cheap even when you take into account the terrible exchange rate we currently have in the UK. 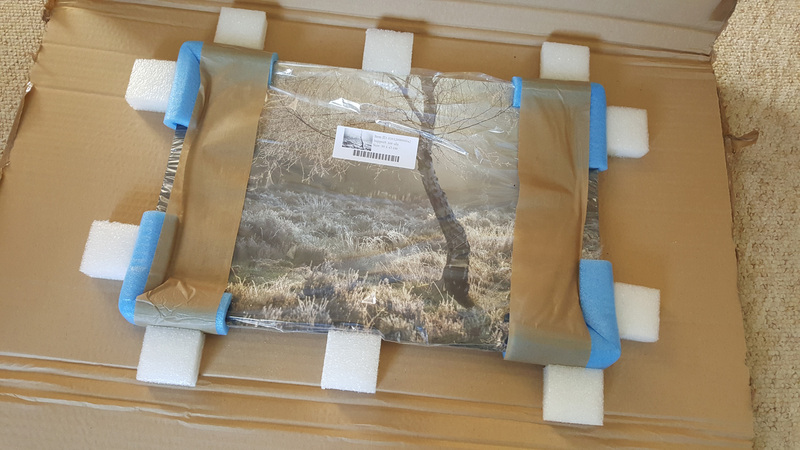 It makes a big difference when you add €9.95 shipping on, you have to take this into account for the overall price of a one off order, it would be much less of an issue if buying multiple prints, but the cost increases a fair bit with increased weight too – it feels a little weird paying more for postage than the product. This is still much cheaper than the Saal equivalent though, which is £29.95 plus £5.95 postage, so I was very interested to see how the quality stacked up. The site is nice and simple to navigate and the order process was very easy, upload the image, choose size, options to adjust the fit of the image and away you go. I chose an image to suit the size print they had offered me so no adjustments were needed and it was very quick to get the order placed. One point here is that Saal offer a few different wall mounting options, the one I went for seemed a bit overkill for a fairly small print, but it was nice to have some choices. Zor don’t seem to offer any fixed mounting system, instead just give the option of adding some 3M Command picture hanging strips to the order. I decided not to add any, partly as I could probably pick some up cheaper locally, but also I’ve got some picture shelves up, so don’t necessarily need to hang the print. I’m a fan of anything that means less nails or screws in the wall, so I’d like to try the hanging strips at some point, but I’d be a bit worried relying on something like that for a large print and it would be nice to have the option of a fixed mounting system for some occasions. The print came 10 days after placing the order, which is pretty reasonable for a print on demand product shipped from a different country. It seemed well enough packaged and turned up in great condition. I went for a photo from my ongoing Sherwood series for the sample, one with quite a lot of contrast and detail as I thought it would be a good test. The colours, brightness and detail seem a great match to what I see on my screen, it’s caught the highlights on the branches really well and retained detail nicely in the darkest and lightest areas of the image. There’s a nice matte finish to it which I prefer for most of my prints as I think it looks more natural than a gloss with reflections getting in the way. Overall no complaints at all about the print quality, they’ve done a really good job there. I mentioned in the Saal review that in general I prefer a mounted and framed print, as the border gives it a bit of status on the wall, it has a bit more presence than an unframed image to me. Overall I still feel the same, but having two prints like this up now I’m warming to it, plus it makes life a lot easier not having to worry about mount and frame sizes, frame finishes, etc. Recently I’ve been shooting much more varied aspect ratios too, a fair amount of 16:9, 2:1, 10:8 and 1:1 as well as the standard 3:2 and anything else that takes my fancy. This makes printing for frames a pain as you can only get fairly standard sizes off the shelf, so it certainly makes metal prints more appealing being able to get any size with no headaches. I’ve got to be honest I’m struggling to see any real difference in quality of the print or finish between this and the Saal product which was 3 times the cost, so it seems a great value alternative. If I was ordering another metal print I’d almost definitely go for Zor again and it’s something I’d consider for potential future exhibitions. 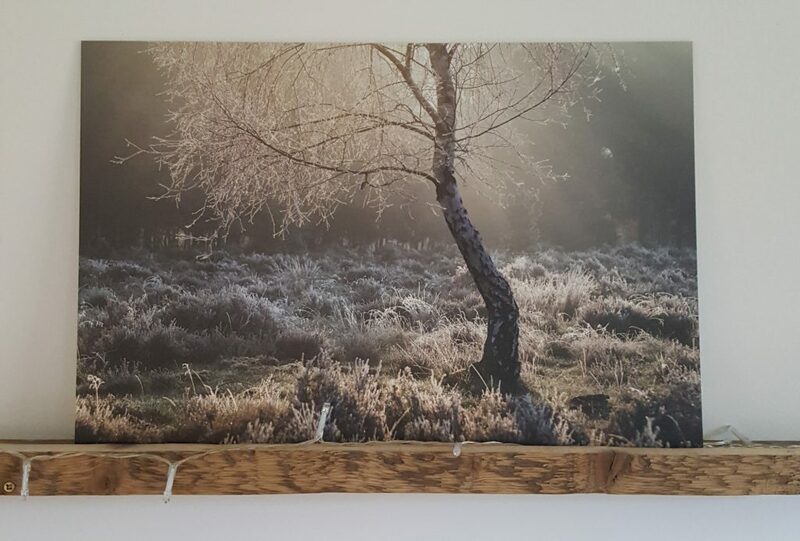 If you’re after an aluminium print then I’d definitely recommend giving them a try.